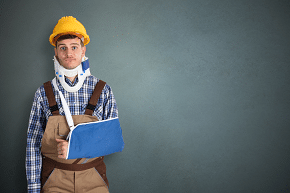 Are Employers Required to Carry Worker’s Compensation Coverage in Texas? The short answer is: “No.” Texas is a very unique state. Many of the differences between Texas and other states are the things that give us our own character. Many of them are part of what makes us proud to be Texan. Unfortunately, our Worker’s Compensation laws are not one of those things to be proud of. We are the only state in the entire United States that does not protect its labor force my requiring employers to carry Worker’s Compensation. How Does Worker’s Compensation Work in Texas? In Texas, employers are Worker’s Compensation is “encouraged” but not required. This means that an employer has the right to decide if he/she will protect the employees with Worker’s Compensation. If the employer chooses not to, then the employer loses many of their common law defenses to a personal injury claim brought by the employee against the employer. If the employer provides Worker’s Compensation, then they are rewarded by being immune from lawsuits by their employees except in the case of gross negligence by the employer. Further, if the employer provides the coverage, the employee has the right to opt out. The employee must opt out at the time it is originally offered, not later on–after they are injured. Do All Texas Employers Offer Worker’s Compensation? There are many Texas employers who choose not to protect their employees with Worker’s Compensation insurance. This is because the premium can be very high in dangerous industries and companies that have had many claims. As a result, companies with high risk of many claims may chose to provide alternate but grossly inferior injury benefit plans or no protection at all. What Are Injured Employee’s Rights if Their Employer Does Not Provide Worker’s Compensation? If you are injured on-the-job and your employer does not provide Worker’s Compensation, you need to check your employee handbook to determine whether your employer provides an alternate or “fake comp” plan that can cover some of the medical bills. Many of these agreements force you to waive certain rights to bring claims and/or force you to submit disputes to binding arbitration vs filing a lawsuit. They can be very confusing and tricky to comply with. Thus, it is wise to review these plans with a work injury attorney to determine your rights. If your employer does not provide any sort of plan at all, then you have the right to file a claim against the employer if your injury was due to the employer or another employee’s negligence. Additionally, if the injury was due to another company or visitor, you may have the right to bring a third-party negligence claim directly against the negligent party. Thus, you would again be wise to speak to a work injury attorney regarding your injury. At Simmons and Fletcher, P.C. we have been helping work injury victims recover in third-party claims and claims against employers who fail to provide Worker’s Compensation for almost 40 years. Call us at 1-800-298-0111 for a free consultation.